Contour and highlighter are two products I don't have in my makeup stash. That's why I decided to buy some from Althea a few months ago (Click to view the haul). 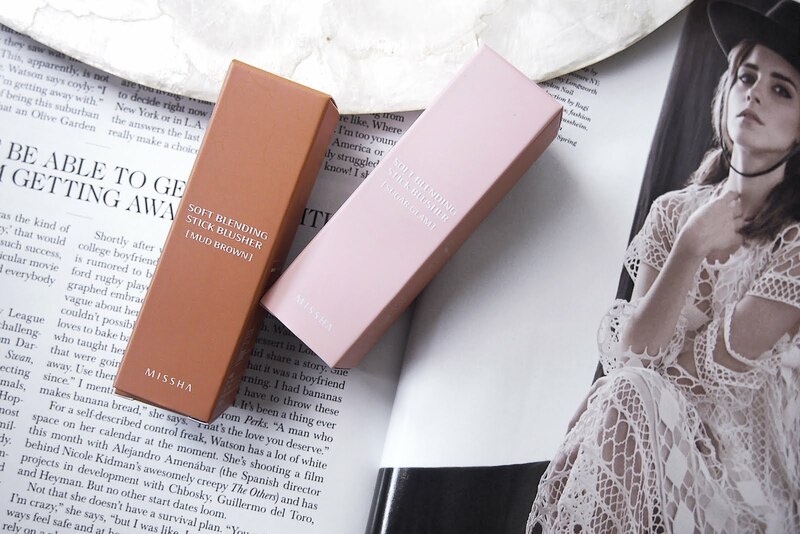 What I ordered from the online beauty store was two Soft Blending Stick Blushers in shades Mud Brown & Sugar Glam by Missha. 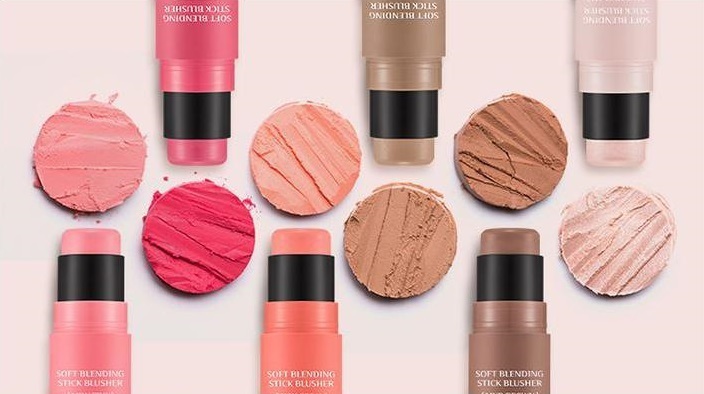 These are Soft Blending Stick Blushers but I'm pretty sure the two shades I got are definitely made for contouring and highlight. Plus the Pecan Brown (also for contour) which is a lighter shade than the Mud Brown. Can be seen in the photo below plus two shades of blush; Milk Pink & Rose Pink. 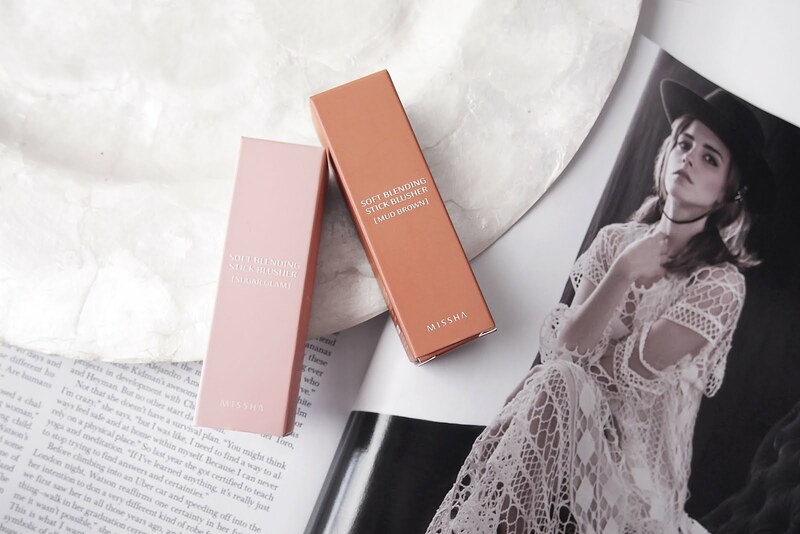 *Photo courtesy of Missha Deutschland & Missha US. 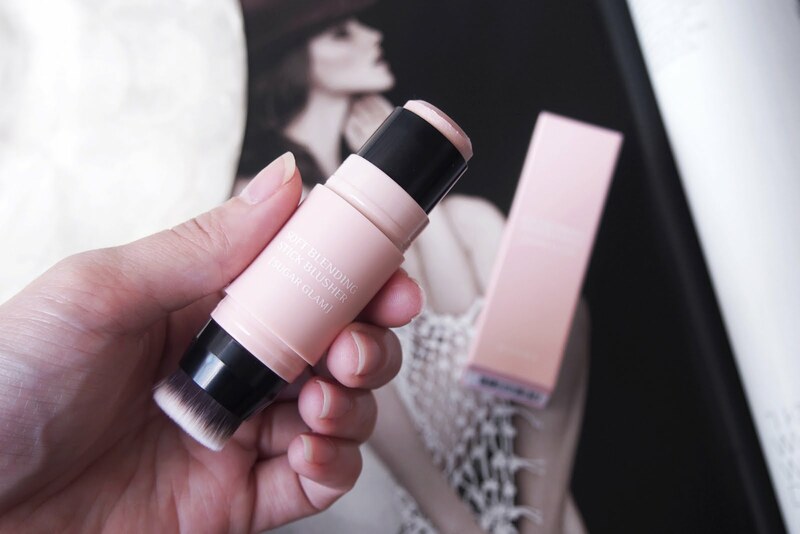 Packaging: Blushers are packed in a box that has the same color as the shade of the blusher. 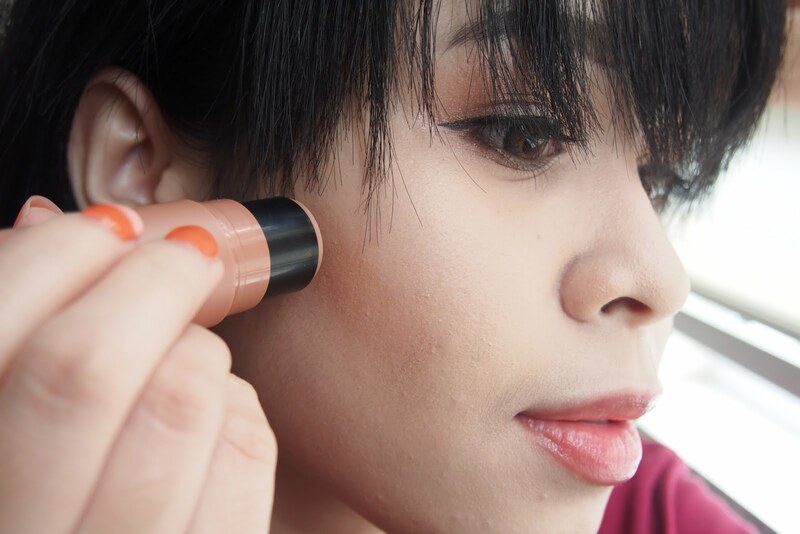 The blushers come in a dual-ended tube with the color stick on top and a detachable brush on the bottom. I was trying to figure out how I'd be able to clean the brush and found out you could remove the attached brush then just put it back again after. Scent: Uh, well not sure if you'd like the smell. It's not that bad but smells kinda weird. Both had a floral-ish kind of scent but there is a reeking smell that seemed off. 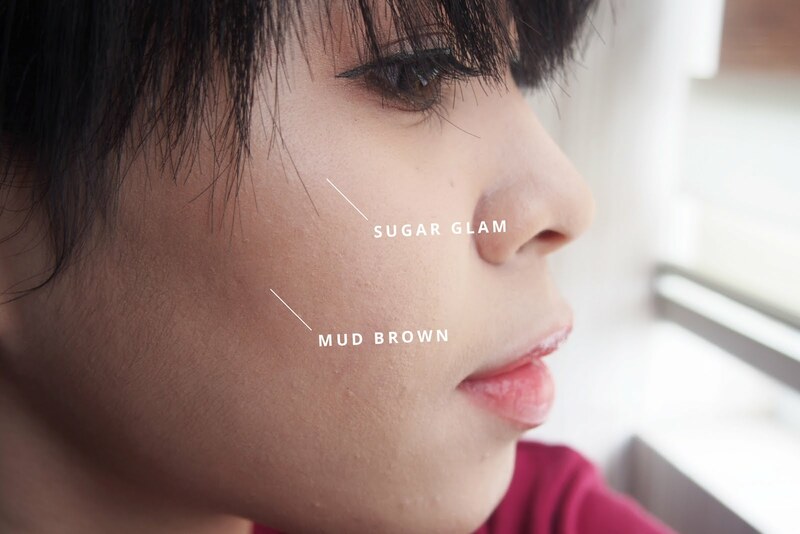 Though the sugar glam smelled a bit better and much tolerable compared to the mud brown. 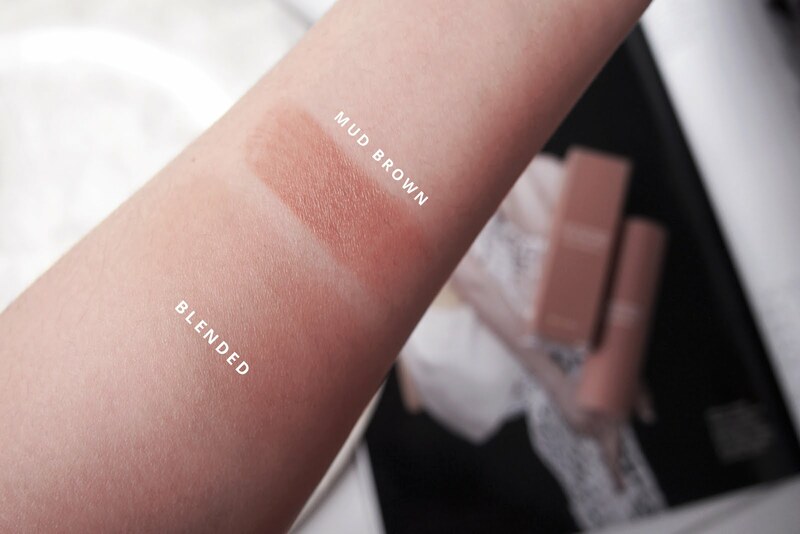 Mud Brown — It's quite pigmented. I did like the shade of this one, it's a bit tan and looks natural when blended. Sugar Glam — Not very pigmented. Not very noticeable on my fair skin. I can still see a bit of sheen when swatched on my hand but when I apply it to my face. It looked like almost nothing happened aside from leaving a bit of glitter on the skin. 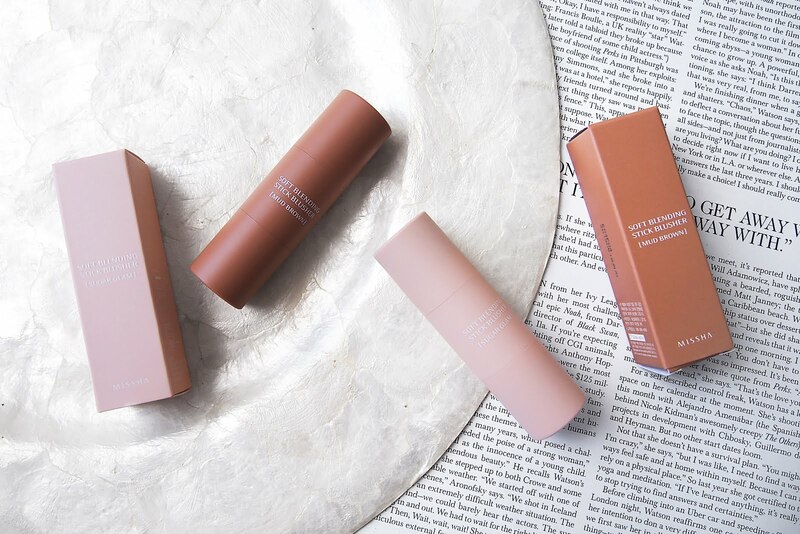 Texture: Both are creamy and really easy to blend. I like that they don't feel sticky and feels light on the skin. As you can see from the image above the color is pretty much pigmented. It blends well when blended. Although, when using the brush it's best to be gentle when brushing the color since it tends to disappear when you brush too hard. Probably because the brush is a bit stiff even though it's soft. 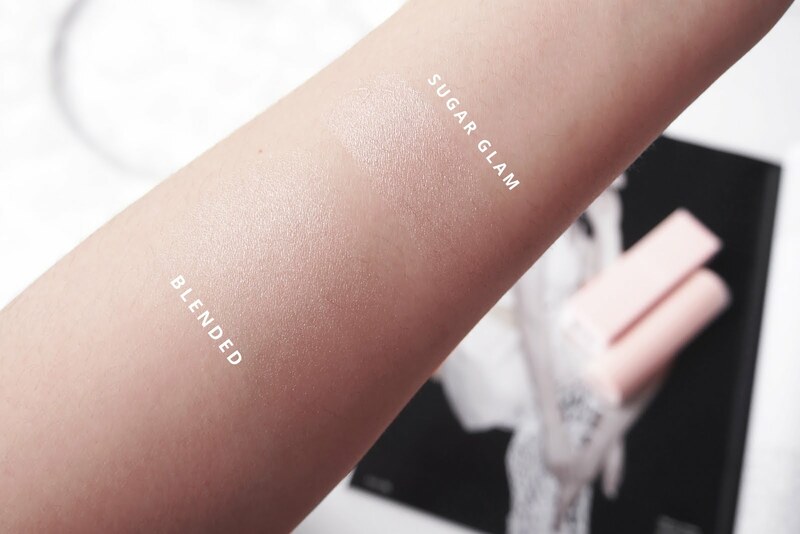 Here we have the swatch of the sugar glam. Since this is my first time using a highlighter I can't really judge and say if this one is good or bad. I don't have anything to compare it with but based on what I see. This isn't what I was hoping for and based on the initial swatch, the color was too soft. Like, when I apply it on my face it's almost like I didn't even apply anything. I'm a bit disappointed because I've heard other people loving this product. Oh well. I've applied Mud Brown and Sugar Glam on my face. Sorry if the contour is looking a bit strong. I think I've glided the mud brown on my face like 5-6 times or more because I couldn't see it properly in the picture. Also, my apologies for my hair blocking my cheeks. It's the only photo I got. Anyway, the camera actually caught a bit of the highlight but as you can see it's not as visible and is really faint. 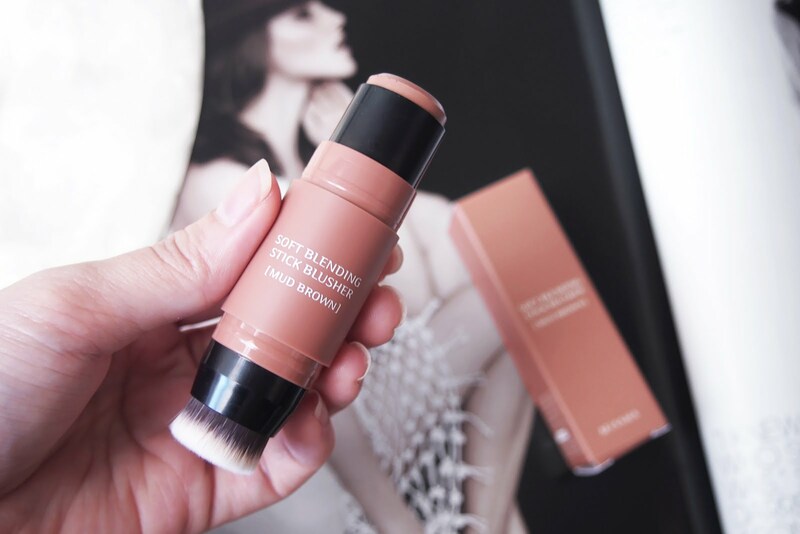 Overall, this product was okay for me. It wasn't as spectacular as I expected. Mud Brown is good it worked for me. Sugar Glam, unfortunately, didn't do well. I was really hoping that the two would work because I thought that these two would be a great product to bring when traveling since they already have a brush attached to them but I guess the Mud Brown will be the only one I'll probably buy again. Probably because I'm still not sure if I'd buy it again. I kind of want to try a product that's in powder form. That's it for today. Thanks for checking out my blog. 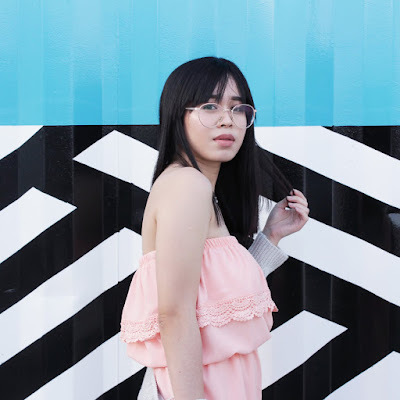 Hope to have you again on my next post.